The Irish Scrapper: Stampin' Up! June Promotion - Join my Team! 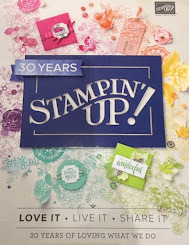 Just wanted to remind you again about Stampin' Up's! June promotion. During the month of June, you can pick ANY TWO STAMP SETS from the new catalog in addition to the $125 worth of product for only $99!!! You can join my team HERE. I would LOVE to have you on my team :) Whether you want to join for the discount or to actually start your own business - it DOES NOT matter to me. By joining my team, you will have access to a private FB page full of demonstrators countrywide along with project ideas and inspiration. We have monthly swaps and challenges. It is an AWESOME group to be a part of. Everyone is so supporting and positive. There's no negativity here. All you need is a $300 retail quarterly minimum, which can be yours personally, from online orders or even friends and family orders. As always, if you don't already have a demonstrator I would LOVE to be yours!!! !